The idea of color psychology may be a silly concept to some, but it has an important role for ideas and color in interior painting. The colors that you choose will impact the mood and tone of a room, which can to a certain extent, impact the attitudes of people. So it's important that when you begin the process of interior house painting, the right colors are chosen, especially if you do not paint on a regular basis. There are professionals who work in the field of interior painting, in addition to decorators, who can really help you make the right decision when it comes to picking paint, furniture, and accessories for your home. However, attaining these services might be expensive. With nice interior painting ideas, you will be able to easily decide the colors to go with and have interesting designs too. On this note, everyone has their favorite colors; however, when you're choosing interior paints, it may be advantageous to check out some of the popular colors among many. The colors listed down below are said to have an impact on the mood of individuals and with the right combination, it will make for a great painting project. 1. White: This color is popular since it can be used in any room in the house. 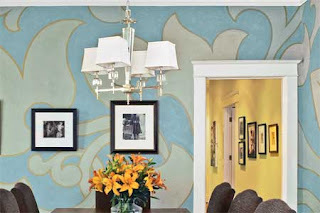 It is a neutral color, which is an addition plus, along with being able to create a peaceful atmosphere. White works well in bedrooms as well as bathrooms and can give an illusion that a room is larger. Keep in mind that white paint may be difficult to maintain. 2. Yellow: No doubt, this color will provide a cheerful feeling. This is because it's a shade that's warm and it is why many commonly use it in kitchens and bathrooms. Colors you may consider are bright sunshine or pale yellow and you may also go for a warm shade, similar to the color of a banana split. 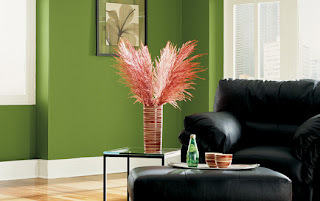 These are just two colors that you can choose from when interior painting; however, you can also choose from brown, blue, red, as well as purple and green. If you're at lost for ideas, as far as technique is concerned, there are some options which you can consider. These will add a little flare to your painting project. 1. If you want a little texture, then try sponge painting. Do this by soaking the sponge in paint and dab the wall. You can also use rollers that have a variety of textures to make it unique. 2. 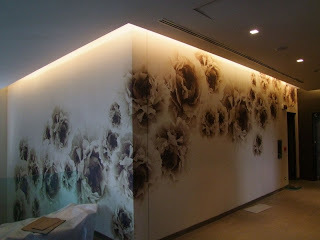 Stencils are also used by many for interior painting. A good example is in the kitchen, wherein you can use a stencil that's in the shape of a fruit. The possibilities are endless and you may choose from a wide variety of designs. If you keep your eyes open, you will realize that there are many ideas for you to take advantage of. Remember that when you begin interior painting, it's best to have a positive outlook.